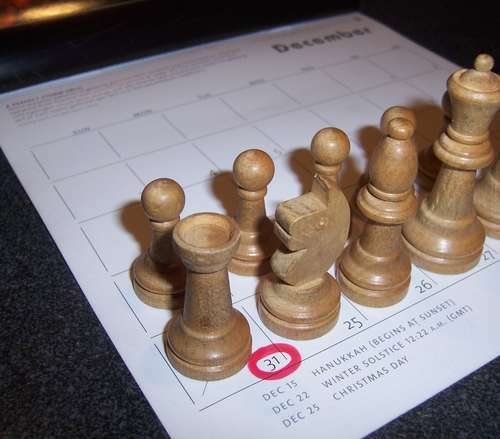 12.27.06 Get the New Year off to a great start by playing in the John Bapst New Year's Chess Tournament on Sunday, December 31, 2006 at John Bapst Memorial High School in Bangor, Maine. The tournament will feature four rounds at G/45 in three sections (Open, U1400 and U1000). Trophies will be awarded to the top K-3, K-5 and K-8 players in the U1000 section as well as to the top three players overall in both the U1400 and U1000 sections. Players in the Open section will be competing for cash prizes. USCF Membership Required: You can join at the tournament. You can also access this information by clicking on the Events link from any ChessMaine page or by clicking here.